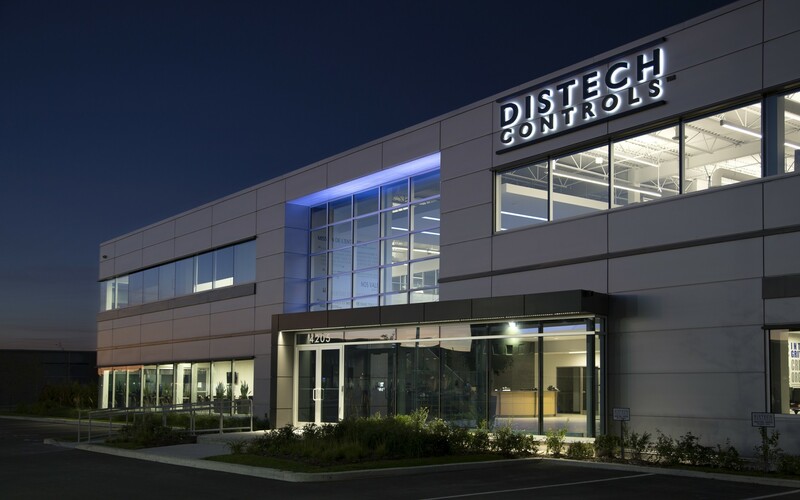 Distech Controls in Brossard, Quebec, is a global leader in building automation and energy management solutions. 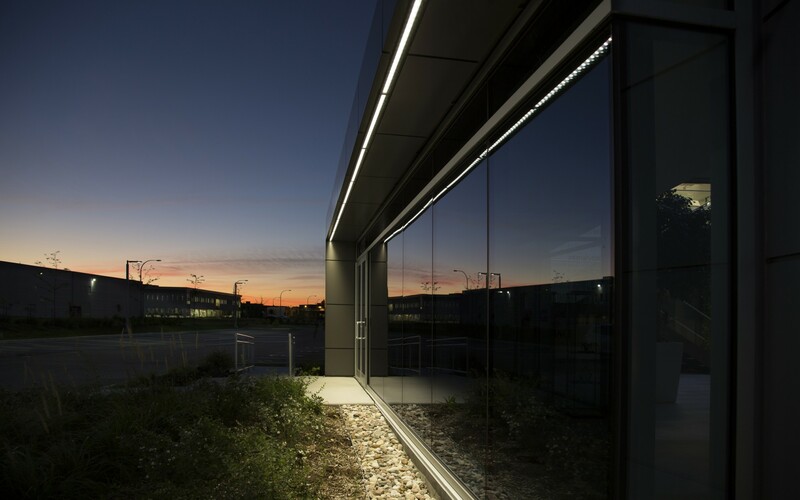 The new 34,000 square foot headquarters is lit inside and out with Lumenpulse LED technology. 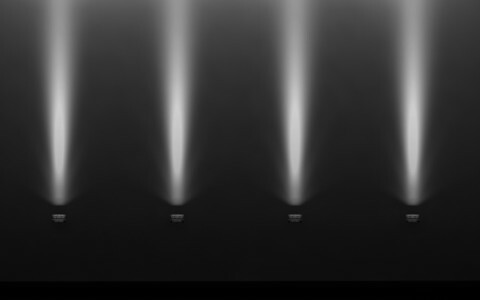 The company used Lumenfacade fixtures to highlight the building's entrance. 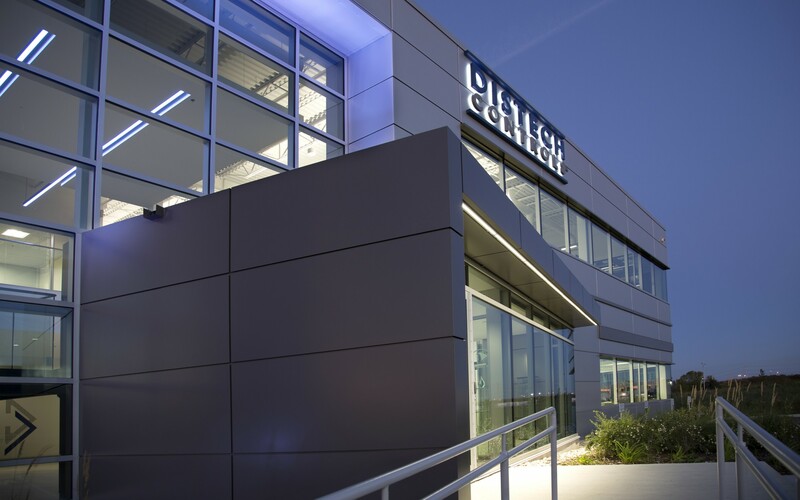 Exterior lighting was provided by energy efficient ASHRAE versions of Lumenfacade fixtures. 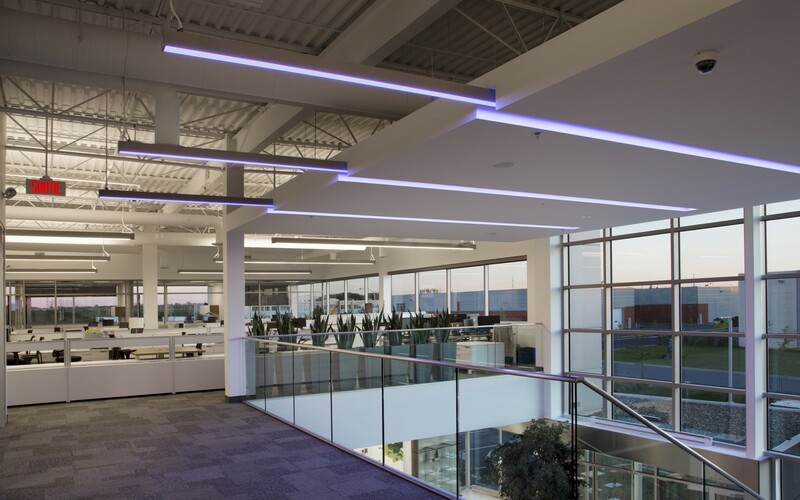 The atrium is illuminated with Lumenline RGB luminaires, creating continuous lines of color. 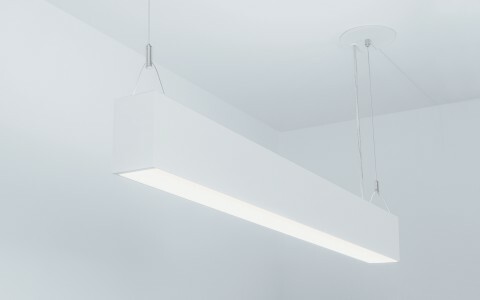 The Lumenline RGB luminaires are mounted in slots in the ceiling, emerging as pendants at the end. 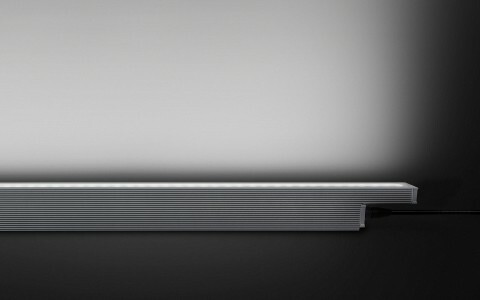 The color Lumenlines create ambiance by day and a branded statement by night. 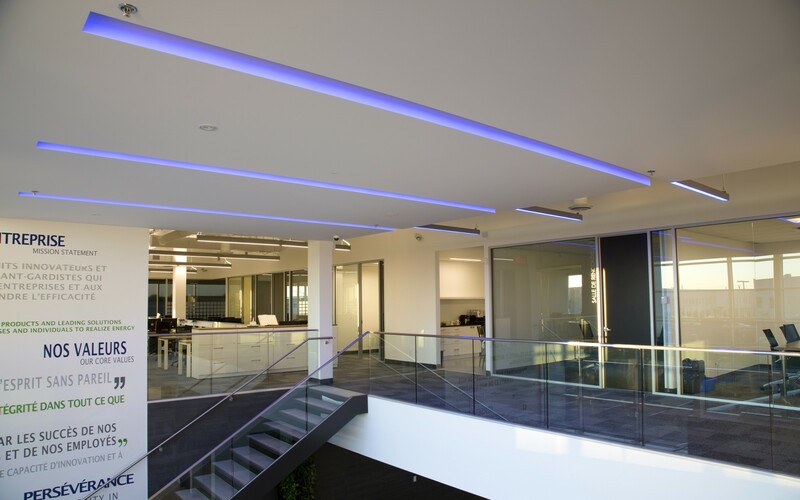 Beyond the atrium, open plan office spaces are lit with Lumenline Pendant Direct/Indirect luminaires. 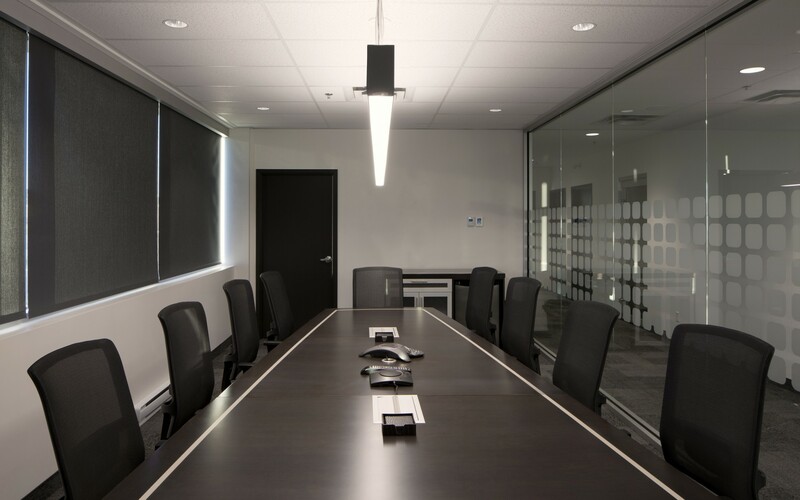 Lumenline Pendants also provide bright ambient lighting for the office's work spaces and conference rooms. 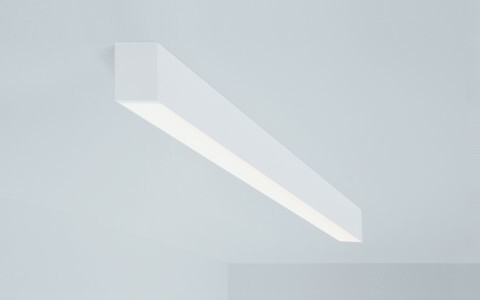 The luminaires can be dimmed to provide the office with a range of lighting options. 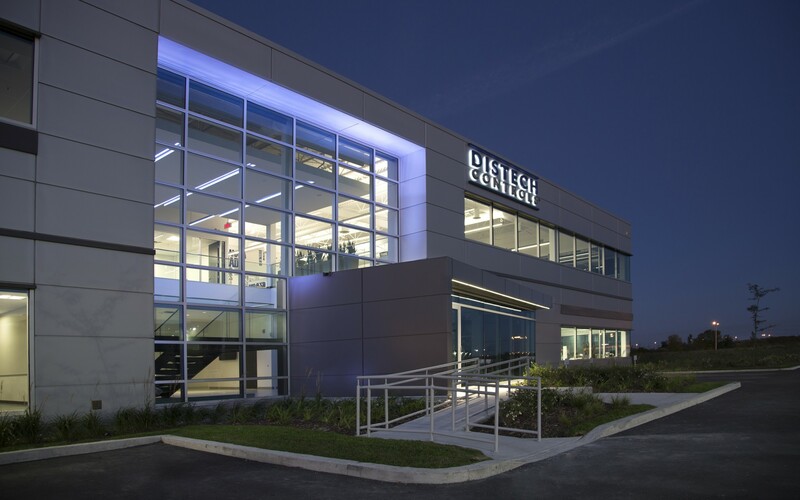 GKC Architects and Spatium Interior Design used Lumenpulse LED fixtures to develop a modern, eye-catching lighting design for the new Distech Controls headquarters. 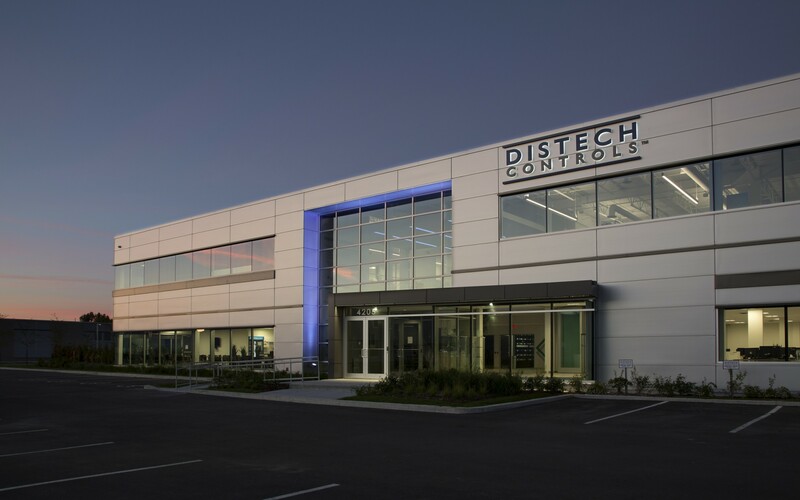 Distech Controls, a leader in building automation and energy management solutions, recently moved into a new 34,000 square foot headquarters in Brossard, Quebec. Working closely with GKC Architects and interior design firm Spatium, Distech developed a modern and versatile lighting scheme, which maximizes efficiency and flexibility, and gives the building a unique night-time look. "The intent was to attract the attention of people on the outside so as to entice their curiosity to explore the interior, and by consequence, Distech Controls as a company," said Fernando Lozano, associate at GKC Architects. The firm selected color changing Lumenfacade fixtures to highlight the building's entrance, providing an element of elegance and fluidity. Energy-efficient, 4000K ASHRAE versions of the fixtures, meanwhile, were used to provide exterior side lighting. 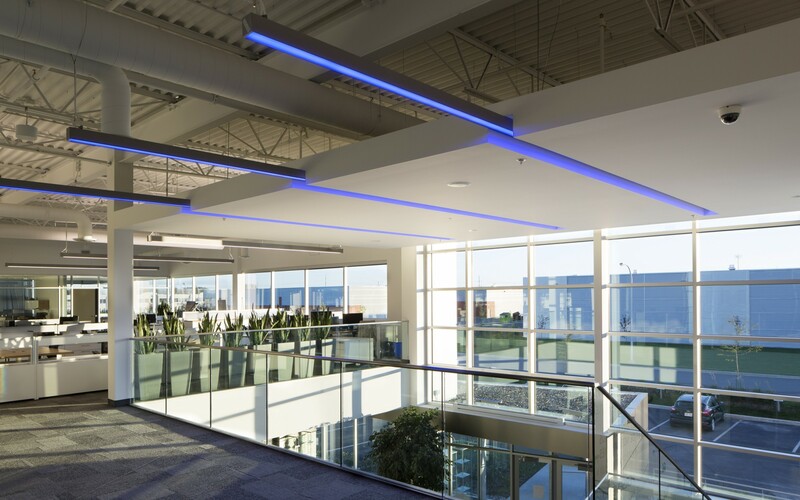 GKC Architects used Lumenline RGB pendants and surface-mounted fixtures in the atrium, creating continuous lines of color. 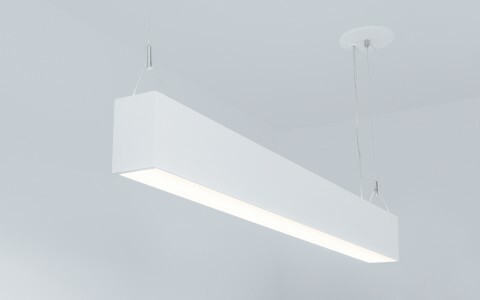 Mounted in slots in the ceiling, the color Lumenlines maintain a specific ambiance during the day, while still delivering the company's branded statement by night. 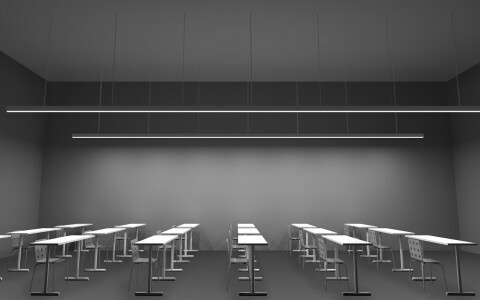 Beyond the atrium, warm 3500K Lumenline Pendant Direct/Indirect luminaires are used to illuminate the open plan offices, work spaces and conference rooms. 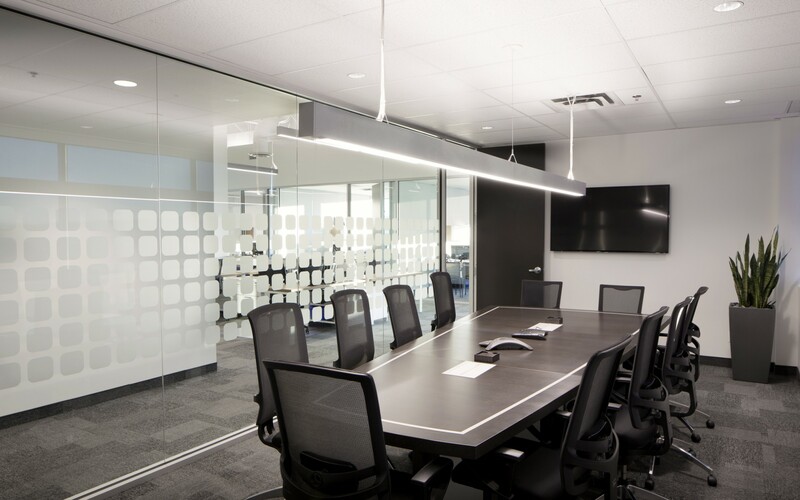 The luminaires can be dimmed to provide the company with a range of lighting options, and an office environment worthy of their industry standing. "People love it," Lozano said, explaining the effect the lighting design has had on the area. 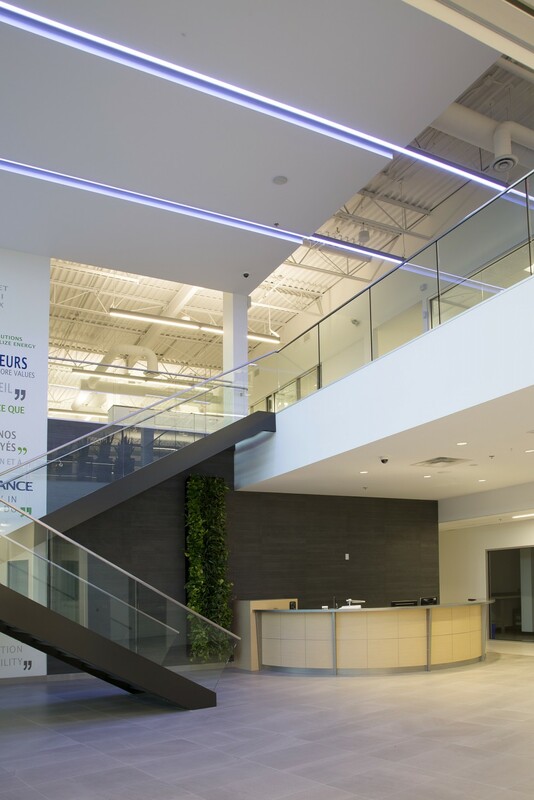 "It has raised the bar for industrial buildings in Brossard."